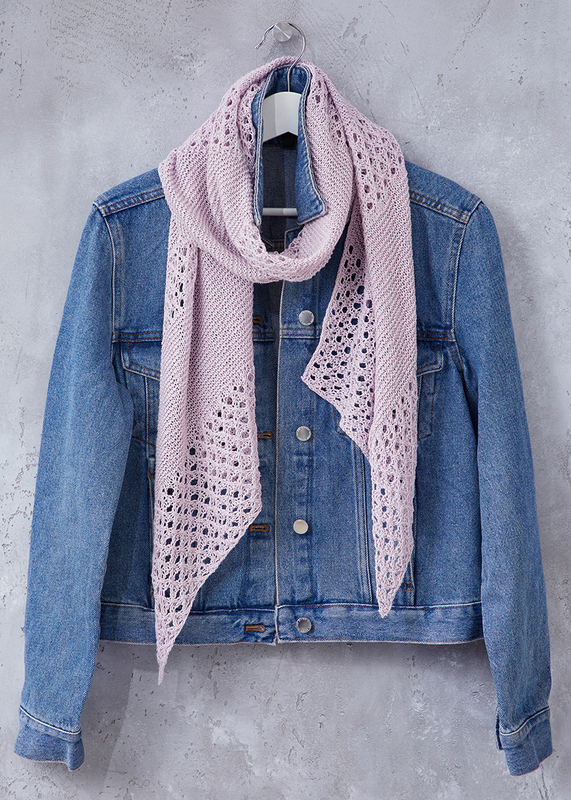 Summery and smart is this beautiful scarf which is knitted with Schachenmayr Portolino*. 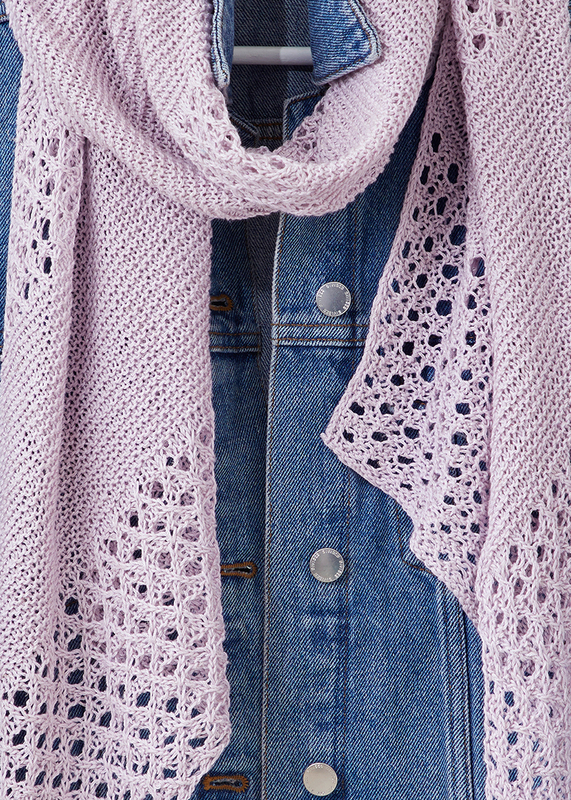 The scarf is knitted in an adorable lace pattern that looks wonderfully airy and light. The yarn is made from a blend of cotton, viscose and linen, which creates great color brilliance and a light fall of the scarf.